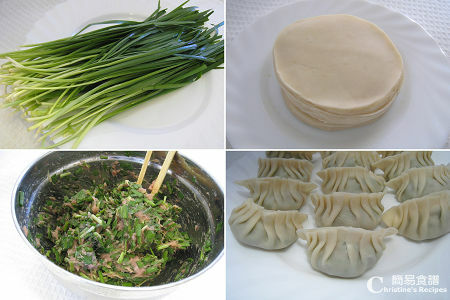 Would you please tell us how to fry frozen dumplings? 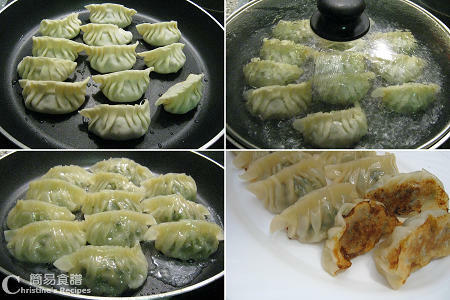 Just place the frozen dumplings and cook them on the frying pan according to the instructions of step 2. No need to defrost them before cooking, but allow longer cooking time and make sure they are cooked through. Isn't it great for lazy people? 水餃皮 is same with wantan skin?? yellow skin type? 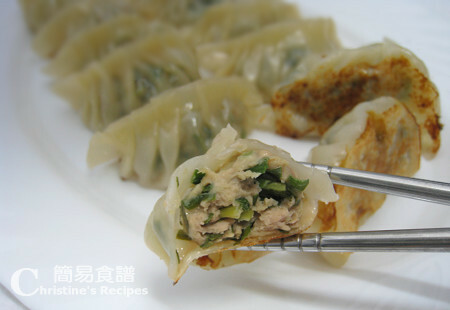 水餃皮 is dumpling wrapper, very different from the yellow Kwong Tong wonton skin, but similar to 餛飩 in china which is thinner.